Initially the project was conceived as an extension of the International Association of Digital Publications? (IADP) Affordable Access project from South Africa into the SADC region. The Affordable Access project provides free and/or heavily discounted copyrighted electronic textbooks to students at tertiary institutions. It relies on Digital Rights Management systems to protect the interests of the publisher. The aim of the AgShare project is to create a scalable and sustainable method of filling critical gaps in agriculture related curriculum through a redesigned MSc process. Graduate students are engaged in action and participatory research which connects them to communities and smallholders and through rigorous research practices produces high quality peer reviewed research, case studies and extension materials. The Skills for a Changing World Programme seeks to provide educational opportunities for those who are currently excluded from post-schooling education both at Further Education and Training (FET) level and Higher Education (HE) level. In addition to preparing students for further study, the programme also aims to prepare students for the world of work by focusing on the development of generic skills that are essential for successful functioning in today's economy. OERu gives you the chance to study independently, from home, with access to world-class courses from recognised institutions. The aim of the Saide ACEMaths project was to pilot a collaborative process for the selection, adaptation and use of OER materials for teacher education programmes in South Africa. The Thutong Portal is the online point of entry to a comprehensive array of free educational resources, policy information, and interactive services concerning all aspects of the South African Schooling Sector. It will provide relevant information and services about the South African school curriculum, teacher development, school administration, and management. Thutong aims to facilitate ease of use, enabling users to find and make use of its resources and services in the most intuitive ways possible. The African Health OER Network seeks to enable participants to develop, adapt, and share health education resources to augment limited human and other resources in the health sector and impact positively on overall health provision in Africa and beyond. 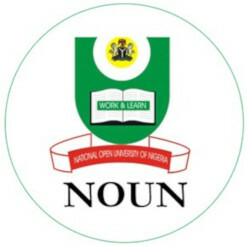 The mission of the Network is to advance health education in Africa by using open educational resources (OER) to share knowledge, address curriculum gaps, and support communities around health education. You can read them online, or download them ? all totally for free. Plus, our books are open resources, so you can copy them, share them, or even modify and expand them. OpenUCT is the open access institutional repository of the University of Cape Town (UCT). It makes available and digitally preserves the scholarly outputs produced at UCT, including theses and dissertations, journal articles, book chapters, technical and research reports, and open educational resources. These resources are organised into collections that are mapped against the university's organisational structure. The International Centre for Eye Health at the London School of Hygiene & Tropical Medicine is creating a series of OER courses in public health eye care which are relevant to health care workers around the world.By the end of 2019 we will have released 7 courses and ~500 separate OER materials. Neil Butcher and Associates, a consulting firm with OER expertise, will conduct research to determine whether and how open licenses could help increase the amount of reading material available to children across the developing world. The results are expected to inform policy solutions to high rates of illiteracy among young children and, more specifically, help shape the Global Book Alliance, a consortium being established by international donors. The overarching goal of OpenMed is to raise Awareness and facilitate the adoption of Open Educational Resources (OER) and Open Educational Practices (OEP) in the Arab Mediterranean countries, with a particular focus on higher education in Egypt, Jordan, Morocco and Palestine. 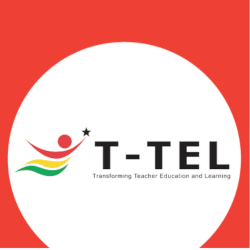 T-TEL seeks to transform the delivery of pre-service teacher education in Ghana by improving the quality of teaching and learning in relevant national bodies, institutions and all 40 Colleges of Education (CoEs). The Leadership Initiative for Public Health in East Africa (LIPHEA) initiative aims to strengthen the capacity of Makerere University School of Public Health (MUSPH) and Muhimbili University College of Health Sciences (MUCHS) to not only provide effective public health leadership for Uganda and Tanzania, but also to catalyze the training of public health leaders in the whole region. OER Africa is a ground-breaking initiative established by the South African Institute for Distance Education (Saide). 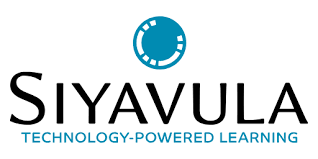 We play a leading role in supporting higher education institutions across Africa in the development and use of Open Educational Resources (OER) to enhance teaching and learning.